Lynette is an accomplished event planner with more than 15 years of experience successfully planning and seamlessly executing high profile meetings, tradeshows, and events in the medical device industry. 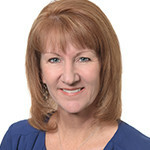 Most recently, Lynette worked for Endologix managing more than 100 local, regional, and international tradeshows annually. Prior, she worked for Covidien/Medtronic Neurovascular and Edwards Lifesciences in both C-suite executive admin and tradeshow management roles. Her experience includes planning industry tradeshows, board meetings, national sales meetings, President’s Club trips, VIP physician visits and training, Investor Conferences, shareholder meetings, team building, and all company events. Lynette holds a BA in Organizational Leadership from Chapman University and is also a 500-hour Registered Yoga teacher. Currently, Lynette is employing her experience in event planning with MedtechWomen, as well as pursuing her passion for wellness through teaching Yoga full time.